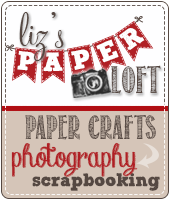 Liz's Paper Loft: MCT October Release Blog Hop ~ Follow Your Heart! You should have arrived here from Miss Emily's - http://creationsofanarmywife.blogspot.com/ blog. If you just popped in to say hi then be sure to head over to Miss Emmas' for the start! Just adding a small amount of glossy accents or something similar to the heart made all the difference! For my second project, I found a free printable online then added some die cut leaves and gold pen dots. As you can see I attached the leaves at the bottom then carefully bent them up. I wanted the picture to have more of a 3D effect. 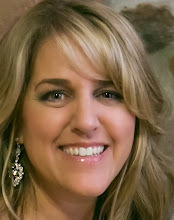 Cassandra - http://www.Ctimz3.blogspot.com is YOUR NEXT STOP! Great projects, Liz! You really went all-out on the detail for the wreath!!! Beautiful home décor project using that free printable. I'm going to go download it after I'm down hopping to see the DT creations. Thanks for having the link for it on your post. I have a fondness for one layer cards also and appreciate your tip for adding a little glossy accents for just a little dimension. 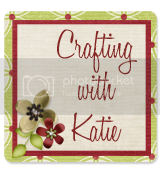 Your card is so adorable and your printable picture that you enhanced turned out so gorgeous!! Great photos of it too. Girl you sure rocked this release to the max!! Wow, beautiful projects! Thanks for always inspiring me. Great projects Liz!! Love It! 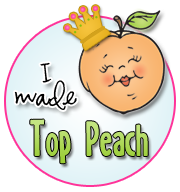 Liz ~ I LOVE your CAS card! OMG ~ so BEAUTIFUL! 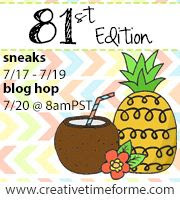 Then your free printable frame idea! Its GORGEOUS!!! 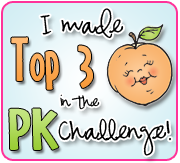 Wonderful job all week! Such a simple tree, but I loveit! 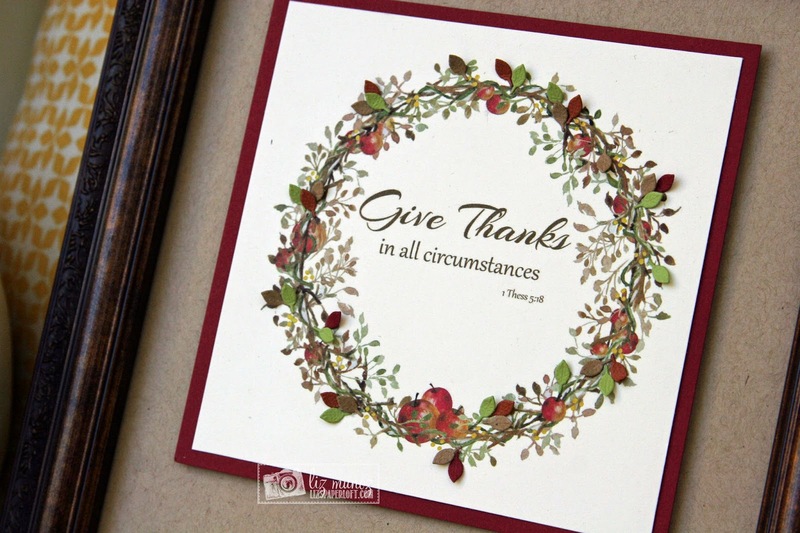 Your card is so elegant and I love that printable and how you added those cute little leaves Liz! Hugs!! Thank you for all the fabulous inspiration this week! It looks like you put a lot of time into the wreath card and it is very nice. Both projects are Stunning & Beautiful! The tree is so fun. Your card is so pretty Liz! I love the Home Decor frame! Wow, the little leaves gives it just the perfect 3D effect....love it! Oh wow. 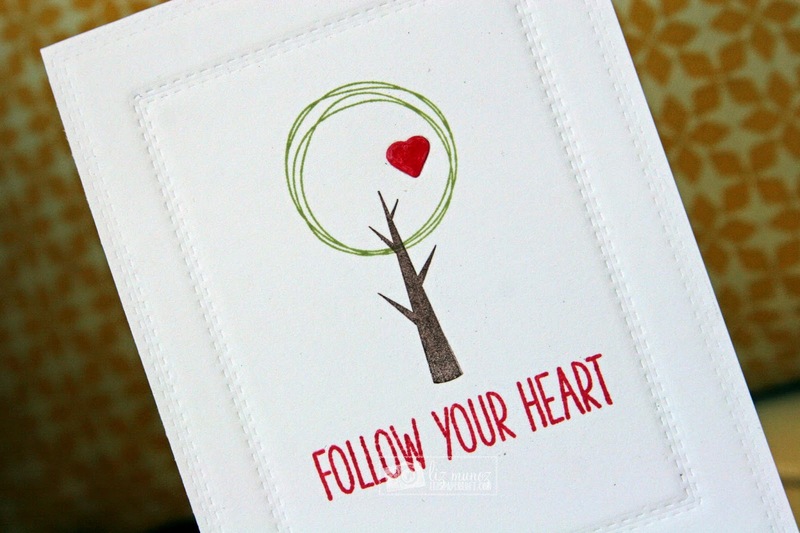 I really, really like the "follow your heart", so very pretty. And the wreath, beautiful! OMGeee!! That wreath is absolutely GORGEOUS Liz! What a beautiful piece!!!! Wow Liz I LOVE your CUTE card and framed artwork. 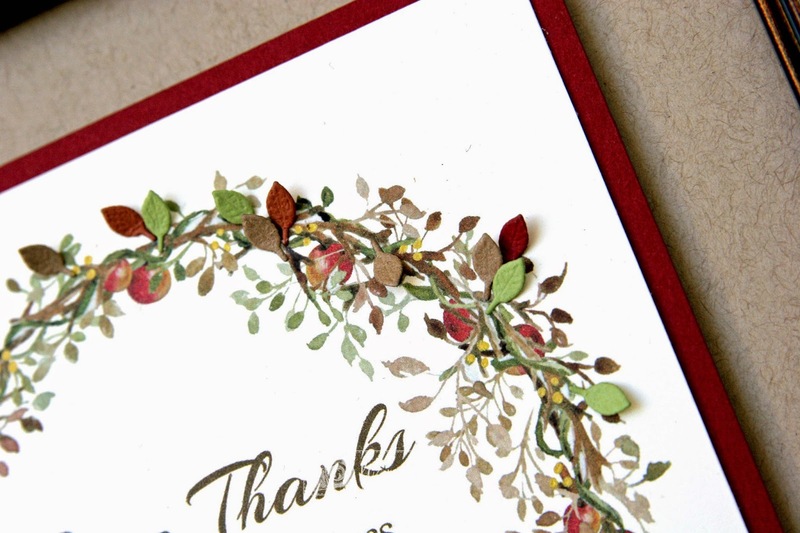 Love how you added the glossy accents and how you dressed up the printable. Thanks for sharing. Oh Wow Liz ~ your projects are beautiful!! That wreath is stunning!! 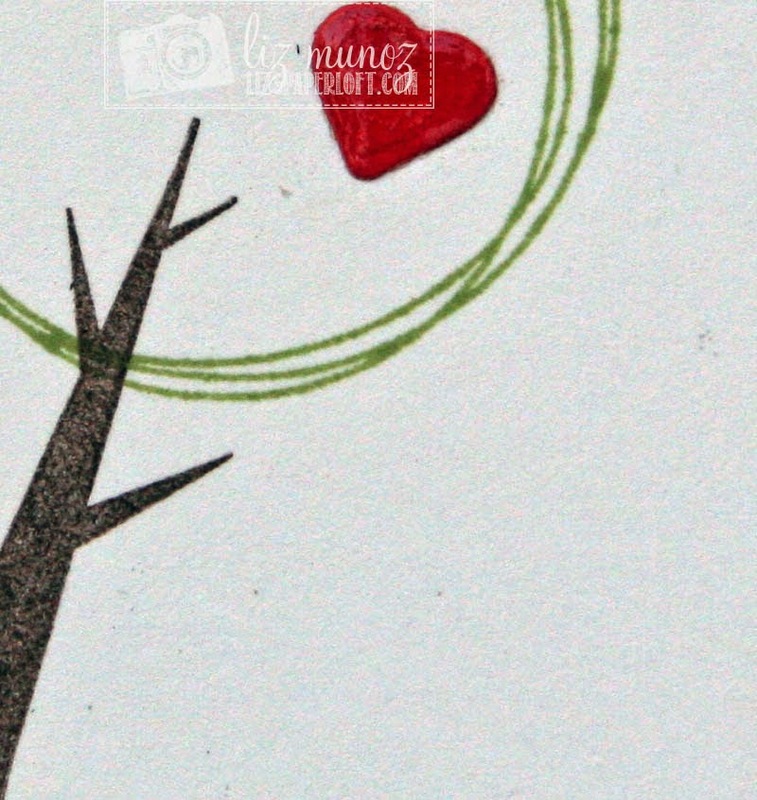 love the card with the heart in the tree. LOVE that wreath!!!!! Such a GREAT home decor piece!!! And your CAS card is just gorgeous! Cute card and lovely framed piece. Liz, your card is so sweet! 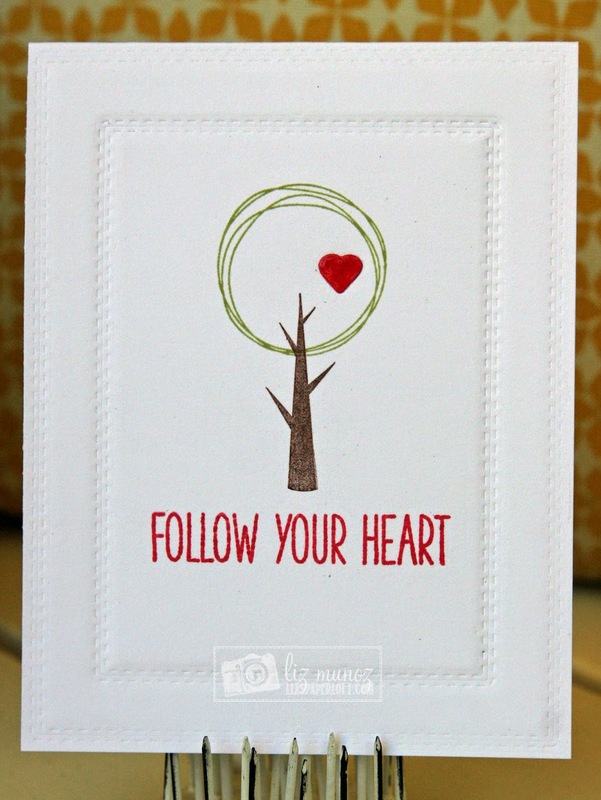 I love the embossed rectangle, and then the way you stamped the tree - just adorable! Super cute idea with the printable wreath and the leaves too! Awesome projects all week! 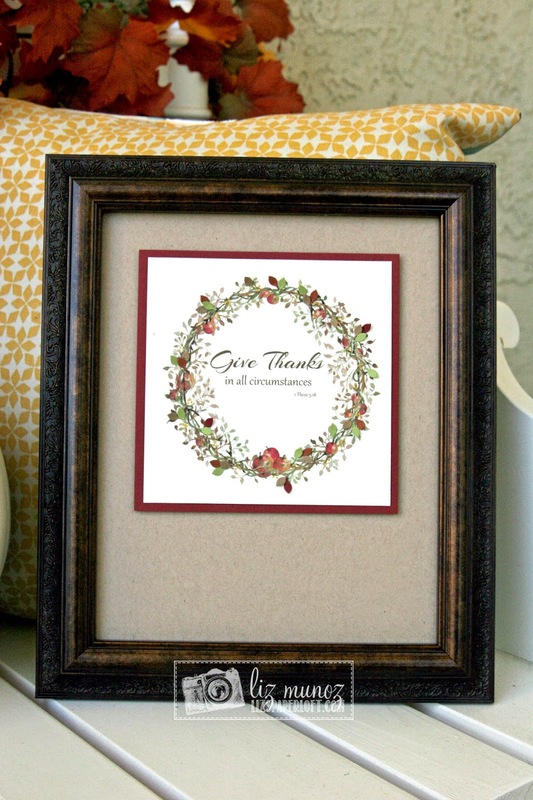 Love the CAS and embossing on card 1 and the wreath on your pretty frame is awesome. Great job. Your projects are so classy and timeless! Love Them! Gorgeous projects Liz, love the double stitched embossed technique! TFS! The wreath wall hanging is so pretty!